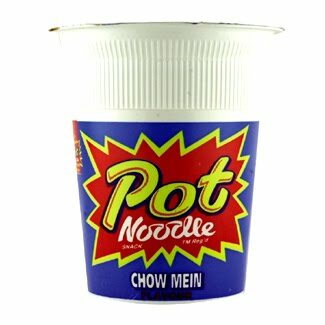 Pot Noodle has announced that it is making a new flavor inspired by British soccer star David Beckham. Pot Noodle is a popular brand of cup noodle manufactured and sold in the United Kingdom. Snack bosses claim [David Beckham] is a fan of the food and have created the Golden (Meat)Balls variety to lift his spirits after he missed out on the tournament with an injury. "The tournament" they are referring to is the FIFA World Cup, which starts next month in South Africa. Beckham suffered a torn left Achilles tendon in March while playing for A.C. Milan and had to have surgery. Thus, he will not be able to play for his home country. However, he will be honored during the finals. The flavor will be called Golden (Meat)Balls due to Beckham's nickname "Goldenballs", which his wife Victoria Beckham (a.k.a. Posh Spice) gave him and revealed on British television chat show. I'm going to try and get a friend of mine who lives in England to send me Beckham's Pot Noodle flavor. Hopefully you will see a review here later this year.